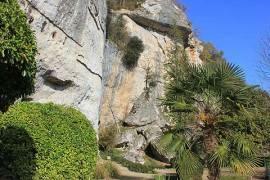 The Font de Gaume cave is the last cave containing prehistoric polychrome paintings which is still open to the public. Others like the nearby Lascaux caves and Altamira caves in Spain have had to close due to the damage caused by carbon dioxide in the breath of visitors. 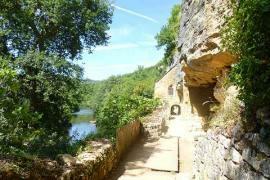 To preserve its paintings Font de Gaume restricts the number of visitors who can enter the caves each day. Whilst the caves were known to locals they were only 'discovered' and their importance realised in 1901. The paintings were made during the Magdalenien period at about 17 000 years BC. There are more than 200 polychrome paintings in the caves. The majority of these are bison and the next largest group is horses. Interestingly the main food group at the time was reindeer but this is not the main animal depicted. Horses were not generally eaten by pre-historic man and yet these are one of the most frequently painted animals. There are also mammoths painted on the walls of Font de Gaume. Only about 30 of the paintings can be seen during the tour but apparently these are the best ones. As well as paintings there are also engravings on the walls and, interestingly, even the paintings first had the outline carved into the rock before being 'coloured in'. 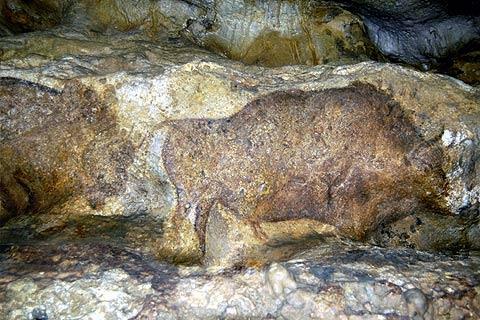 The main colours used are black, red and a mix of the two giving a brown colour.The natural contours of the rock were used to emphasise the shape of the animals indicating a sophistication previously unexpected for pre-historic man. As at Lascaux there are also symbols painted and engraved whose meaning we have not yet discovered. The main frieze at Font de Gaume is a group of five bison. Another key frieze is a mixture of bison and deer and there is also a painting of a male reindeer licking a female reindeer. 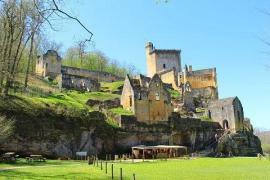 The Font de Gaume caves are mentioned in Patricia Schultz' best selling book - 1000 Things to Do Before You Die. So if you are creating your 'bucket list' here is one to add. 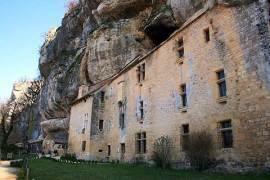 The Font de Gaume caves are found near to Les Eyzies. 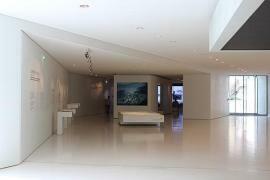 Entrance is limited to 200 people a day and so booking is necessary. The caves are often booked up a month in advance. A small number are reserved for sale each day but in high season you will need to arrive early (around 8am) to have a chance of getting one of these. The entrance to the cave is quite high up in the hillside behind the car park and ticket office but there is a nice wide path leading up to the entrance. Tours are available in English - make sure you ask when you book. Cameras are not allowed in the caves and nor are bags to prevent these accidently touching and damaging the paintings. There is a locked area next to the entrance where bags are locked for the duration of the visit. Our picture is used courtesy of © CMN Paris. 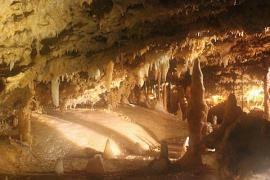 The caves are open every day except Saturdays. Tickets cost 7.50€ full price and under 18s are free (in family groups). 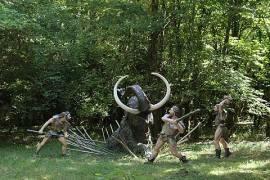 The Lascaux caves are nearby and if you are interested in pre-historic cave paintings they really are not to be missed. Of course at Lascaux the original caves have been closed to the public to preserve the paintings but the replica is superb - you really would not know the cave and painting is a copy and the paintings are wonderful. Only 1km away is the Grotte du Grand Roc. This is a cave full of stalactites and stalagmites rather than prehistoric paintings and is incredible. The ceiling is absolutely covered in tiny stalagmites and they have formed lovely little grottos.